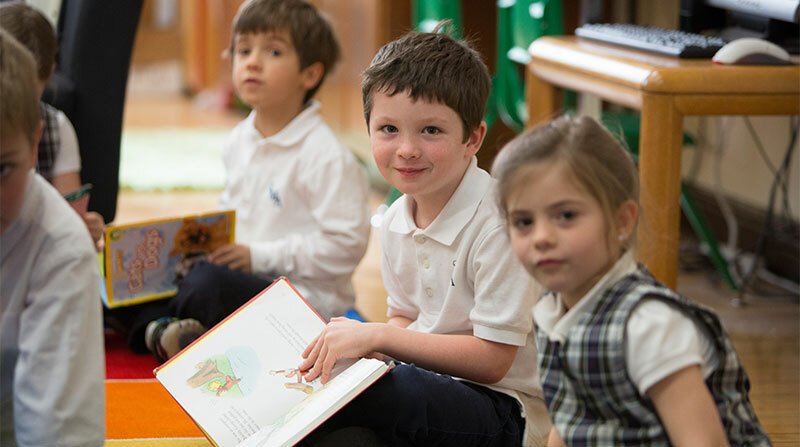 St. Mary of the Angels School offers a competitive play-based academic program beginning at age three. 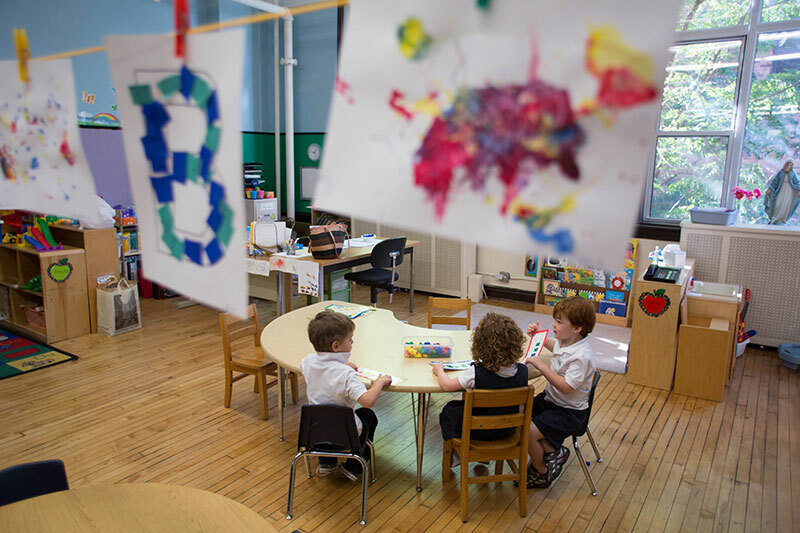 We currently offer four preschool classrooms. Your child’s class placement will be based on age and schedule selected. Only those who select a full-day schedule will be considered for the Junior Kindergarten and Kindergarten Prep classrooms. 3-Year Olds: Choose between 3 or 5 days, as well as between half-day (8:00am – 11:00am) or full-day (8:00am – 3:00pm). 4-Year Olds: Choose between 3 or 5 full days (8:00am – 3:00pm). Classroom Size: We maintain a small class-size and teacher to student ratio of 10:1 so that our students receive the individualized attention that they need to progress and excel in our Early Childhood Program. Early Childhood Program Overview: A child’s first five years are a developmentally important time, laying the foundation for future success. St. Mary of the Angel’s Early Childhood Team creates inviting and engaging classroom spaces where students are excited to learn each day. We also provide a nurturing, invigorating and welcoming environment that stimulates thinking and enriches social skills in these early formative years. Students come together as a class community during times like Morning Meeting or to listen to a read-aloud. Our teachers plan appropriately challenging thematic units and small group lessons to meet the skills of each student and support their growth. 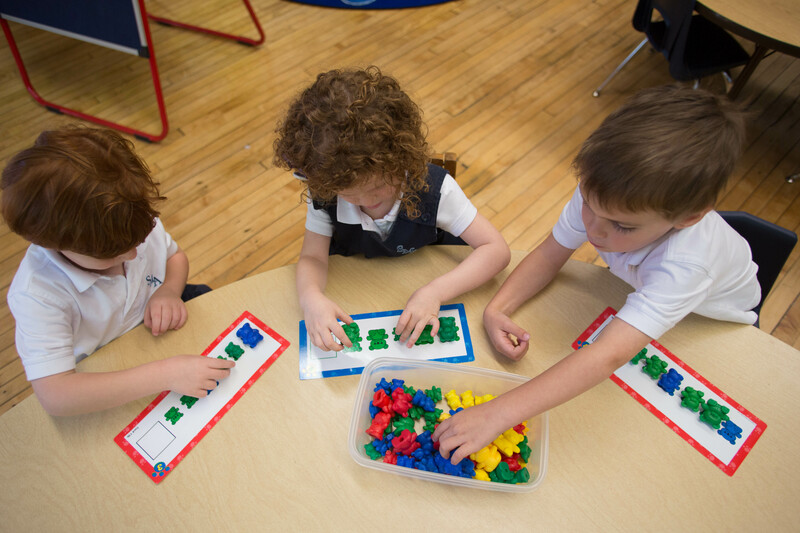 SMA teachers also facilitate student creativity and curiosity by offering a variety of hands-on projects and opportunities for imaginative play. We understand that learning is a social process; our teachers develop meaningful relationships with each student and work to help them explore positive relationships with their peers. Through this learning environment that encourages natural curiosity and creativeness, our young learners discover how the world works, they develop a joy of lifelong learning, and they learn to speak and think articulately. We encourage our youngest to be sincere, honest and kind in their work and play, as well as to develop the ability to adapt to new situations, to understand their own and others’ feelings and to manage them appropriately. 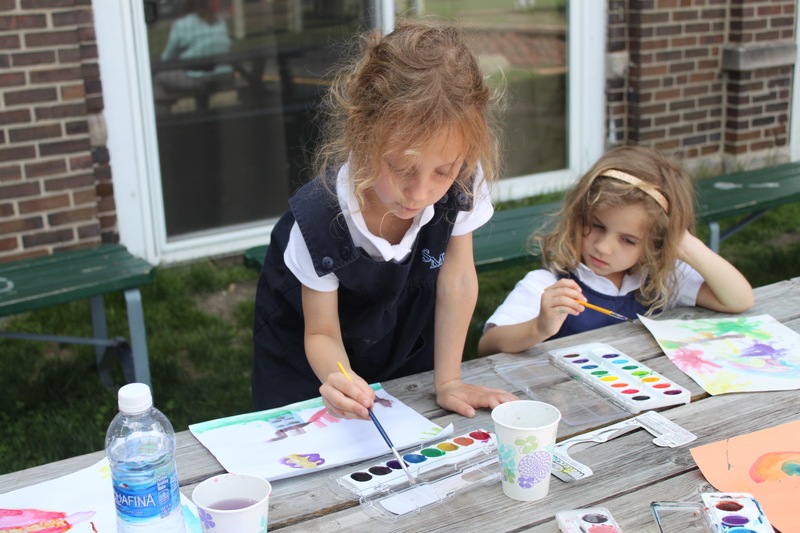 Our “littlest” are a big part of the school community through interactions with older students at Mass, Faith Buddy activities, and other all-school activities. To read our Early Childhood Curriculum Guide, please click here. Assessments: Children in our Early Childhood Program will be assessed three times throughout the school year. The scores on the Preschool Growth and Development Report (i.e. report card) are derived from a variety of methods – careful observation, anecdotal notes, collection of students work, reference to child developmental checklists, and one-on-one assessments with students. These assessments are made solely for the purpose of gauging the progress made by each individual child throughout the school year. Teachers assess children so that the academic program can be better tailored to suit the needs of each individual child. Results are shared with parents at scheduled parent-teacher conferences and as needed. Behavior Policy: SMA uses the Responsive Classroom approach to classroom management, which focuses on specific positive reinforcement and logical consequences for behavior. Students are co-creators of classroom rules so that everyone feels invested in what we need to do as a class community. Rule-breaking is a natural part of learning, and we use mistakes as teachable opportunities. Teachers use logical consequences to stop misbehavior and help students see the connection between their behavior and the effect it has on others. One of the logical consequences used in our Early Childhood Program is a Stop and Think note. In the case of repeated disruptive behavior (such as calling out, not cleaning up, or disrespecting classroom property), the student will sit down briefly with the teacher to talk about what the problem is, how the student was feeling when the problematic behavior took place, and what a better choice would be for next time. This problem-solving note goes home to parents so that they may continue the conversation and reinforce the reasons behind classroom rules. Snack: A morning snack is offered to students in our Early Childhood Programs. Please click here to learn more. Lunch: Students in our full day programs will enjoy a lunch period each day. Please click here to learn more. Nap: Students in our full day programs have a scheduled nap time each day. Please click here to learn more. Uniform: All students at St. Mary of the Angels wear uniforms. Please click here to learn more. Extended Day Program: All children in our Early Childhood Programs are eligible to participate in our Extended Day Program. Please click here to learn more.